I have to admit to letting out a little yawn every time Barcelona Design Week rolls around. It has never had quite the same razzle dazzle as London Design Week, not to mention coming with an inch of Milan or Basel. This year’s programme however is a pleasant surprise, and the organisers at last have realised that a design convention need not just be a series of debates and workshops for final year students – though these are important too. Under the title ‘Transforming Societies’, there is plenty for the public to see at this year’s event, from artful floral arrangements to displays of the latest lighting design. *The wonderful furniture store MINIM is hosting an exhibition on the master of Italian modernist architecture and design Gio Ponte. *Inside Espai Roc35 in Poblenou – an old flour mill masterly converted to an events space by architect Minos Digenis – you can view ‘Across Borders’; a exhibition of design solutions for refugee children. *Also in Poblenou, textile designer Cristian Zuzunaga opens his workshop, where you will be able to see his exquisite pixelated prints and learn about his current projects. *Over in El Raval, Roomservice, one of our favourite galleries, presents a collective exhibition of fresh, new ‘Made in Barcelona’ design talent. *And what could be more divine than seeing art, fashion and fresh flowers under the one roof? At Studiostore in El Born, the interior design studio Lafede has created a surprising concept with local floral artist Lady Green. 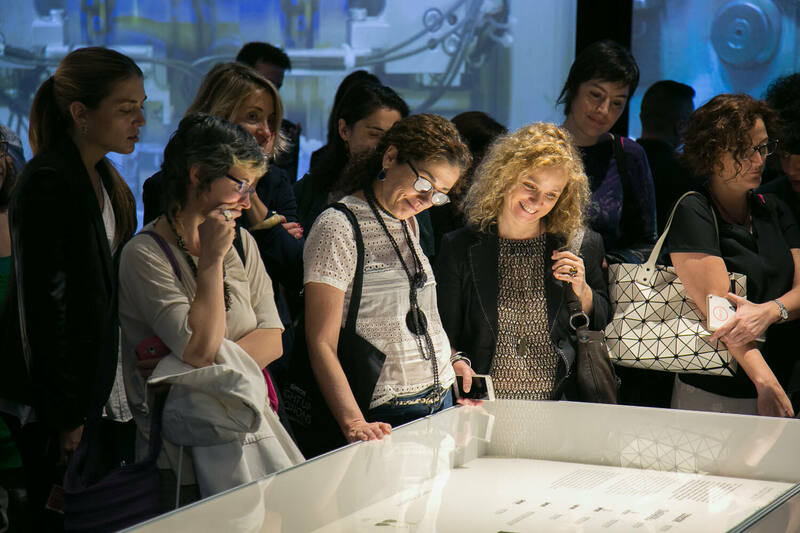 And whether you want to network, learn, debate or just look at gorgeous inspiring things, there is plenty more happening at this year’s Barcelona Design Week. Check here for the full programme.